During the summer months there is not much activity in the bird world but there are other things to observe in nature. Butterflies are quite numerous at this time of year so I went out with a friend in search of some unusual varieties of these colourful fluttering insects. We were in search of Comma butterflies, which are common in England but have become more widespread in Scotland due to the warmer weather in recent years. After walking about in a meadow in Baron's Haugh in Motherwell we were rewarded with out first sight of the Comma butterfly. 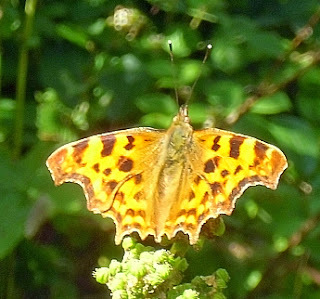 The Comma is called after the small white marking on the underside of the wing which resembles a comma. In the photograph above the white mark can be seen on the right wing. 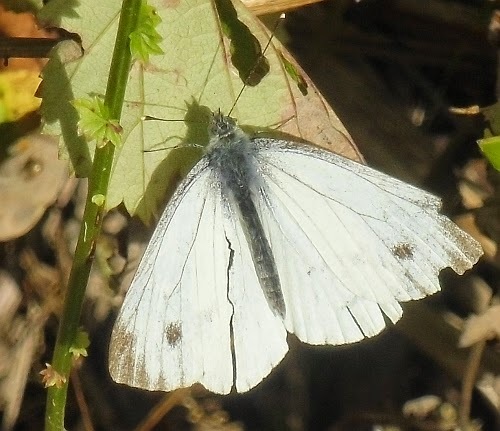 While there we also saw one of the most common butterflies in the UK - the Green-veined White. 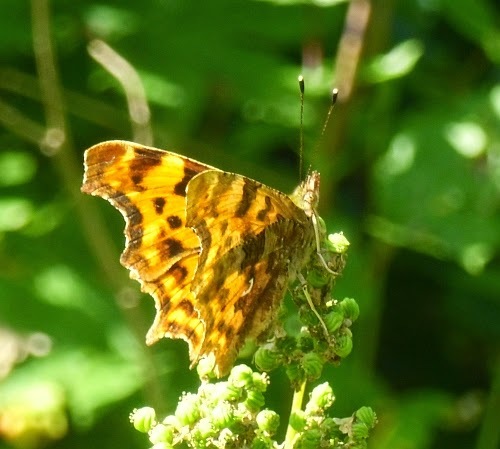 This butterfly can be found from spring through to autumn in parks, gardens, meadows and woodland. The so-called green veins on the underside of the adults are, in fact, an illusion created by a subtle combination of yellow and black scales. My friend provided me with an insight into butterflies and ignited my interest in these colourful fluttering summer insects. I will spend some time learning more about them. It had a very interesting few hours learning about them.